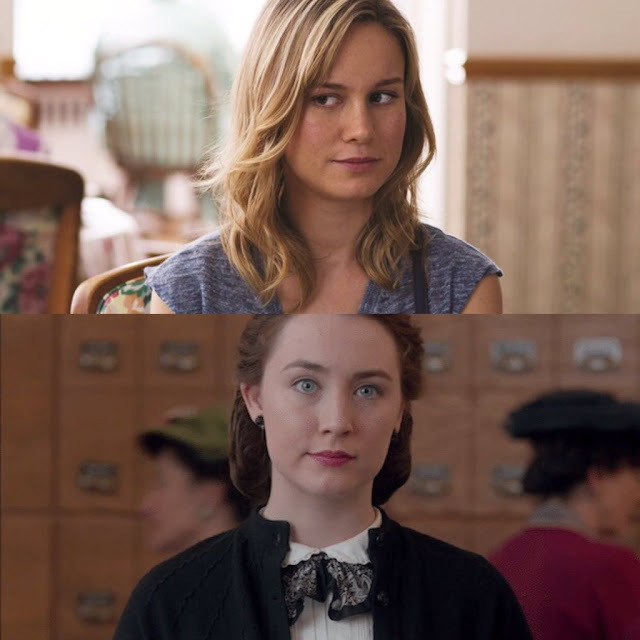 Leading Oscar contenders BRIE LARSON & SAOIRSE RONAN to receive OUTSTANDING PERFORMERS OF THE YEAR AWARD at the 31st SANTA BARBARA INTERNATIONAL FILM FESTIVAL! Santa Barbara International Film Festival Executive Director Roger Durling proudly announced on Tuesday, December 1st, the selection of both Brie Larson and Saoirse Ronan as the twin recipients of the coveted 2016 Outstanding Performers of the Year award. This is the first time the award will be given to two honorees. Both Larson and Ronan had previously been awarded the festival’s Virtuoso Award, in 2014 and 2010 respectively. The duo will be celebrated for their remarkable performances in "Room" and "Brooklyn" on Monday February 8, to coincide with the 31st edition of Santa Barbara International Film Festival, one of the the biggest SoCal Film Festivals, which will run February 3 to February 13, 2016. Larson and Ronan will join a recognized group of previous Outstanding Performer Award recipients, including: Steve Carell (2015), Cate Blanchett (2014), Jennifer Lawrence (2013), Viola Davis (2012), James Franco (2011), Colin Firth (2010), Penelope Cruz (2009), Angelina Jolie (2008), Helen Mirren (2007), Heath Ledger (2006), Kate Winslet (2005) and Charlize Theron (2004). The festival previously announced honors for the legendary Jane Fonda (Youth) with its Kirk Douglas Award for Excellence in Film. It has also announced that it will honor Johnny Depp (Black Mass) with its Maltin Modern Master Award and Michael Keaton, Mark Ruffalo and Rachel McAdams (Spotlight) as an ensemble with its American Riviera Award. It is also set to celebrate Elizabeth Banks (Love & Mercy), Joel Edgerton (Black Mass), Paul Dano (Love & Mercy, Youth) and Jacob Tremblay (Room) with the Virtuoso Award among additional, yet to be announced, honorees.